EDITED: These are no longer sold. A few months ago I wrote about HumBird Inserts and how I LOVED them! Well…I still do. But I’ve had the chance to try a different, sherpa topped blend now. 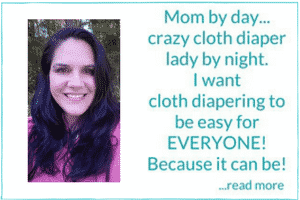 It’s an amazing stand alone insert, a great option for replacing microfiber inserts…and it would fit in any diaper. I received this product for review purposes. All opinions expressed are honest and true. HumBird Ultimate Inserts are made of a top layer of 100% organic cotton sherpa and two layers of super heavy hemp-bamboo fleece. They are available in three sizes. Prepped, the inserts measure: newborn/small 11.5″ x 4″, med/large 13.5″ x 4.5″, and XL 16″ x 5″. These are made to be universal inserts. They are narrow enough they should fit in pretty much any diaper on the market. 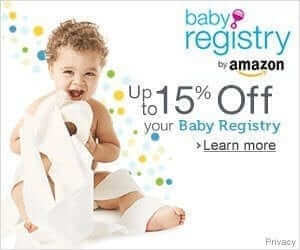 You just need to buy the length that is most suitable for how big your baby is. Size difference of the HumBird Ultimate Insert in Newborn/Small, M/L, and XL. I have to agree! I did my absorbency tests on these. The XL held 9.5 oz, the M/L held 7 oz, and the newborn/small held 4 oz. Make sure you click that link to see how they stacked up against other inserts and doublers. I’m currently using the med/large Ultimate Insert on Norah. She is 20 lbs and 9 months old. So far I’ve used mine on its own and made it at least two hours with no leaks. The M/L fits in all the diapers she is wearing now (a few sized and a couple one size snapped down.) 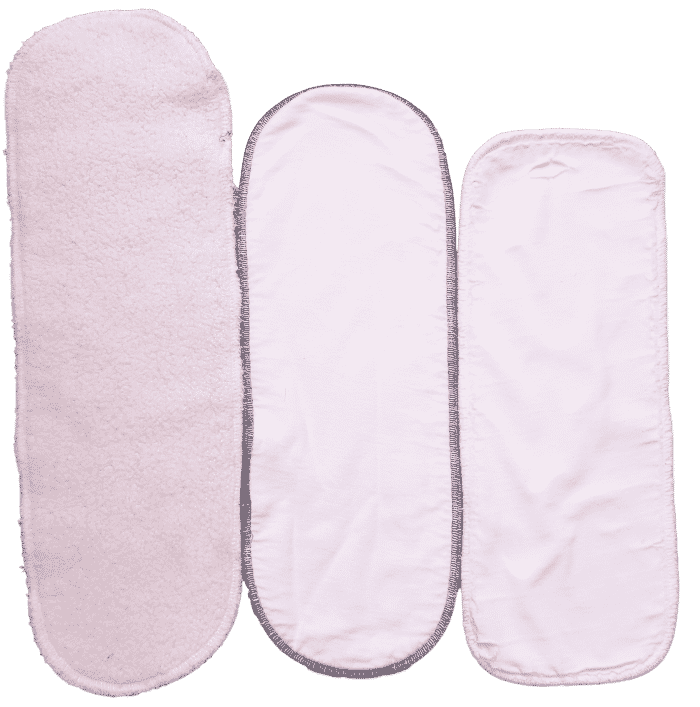 You’d likely need the newborn/small until about 7 months or so as the length might be too much on the lowest snap setting of most one size cloth diapers. 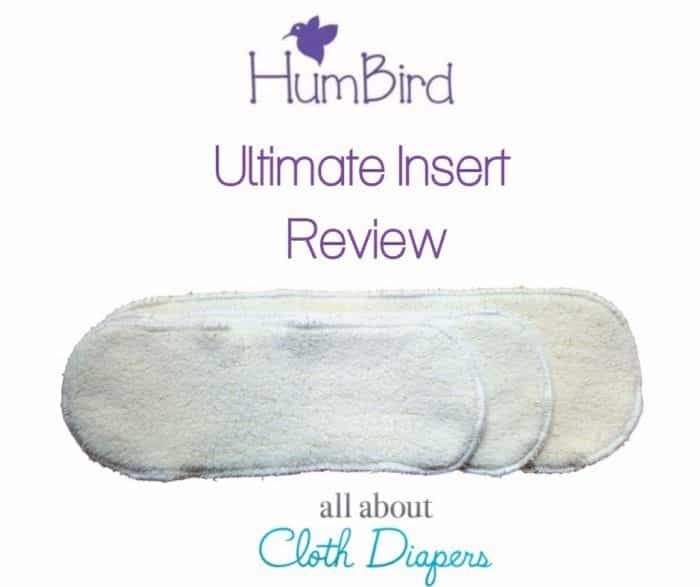 The Med/Large HumBird Ultimate Insert is plenty long enough for most babies to use through potty training. (I’ll keep you posted on that though because we aren’t there yet) ;) The XL is pretty huge. I would say save that for older toddlers because you will need to be using a cloth diaper on its largest rise to get it to fit. But there’s also more absorbency due to the length. Below, you can see how the XL Ultimate Insert (on the left) compares size wise to a Geffen Baby Super Absorber Plus and a Thirsties Large Hemp Insert (on the right). 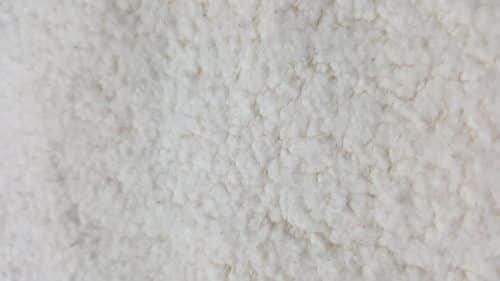 Pretty trim and very absorbent. Use one for day use. More for naps and night. Stayed soft after repeated washing. The sherpa top seems to stain easily. It’s not really an issue though. A little sun and it’s gone! These are available from HumBird and start at $8.50. HumBird is based out of Germany, but I’ve always found shipping to be quite fast. My packages all seem to take about a week to get to me. These look like great inserts. I like how you compared them against the other two. Would love to win these to try them. Thank you for the giveaway.